It’s that time of year again; we are being teased with half-decent weather and are becoming impatient as a result. Everyone wants to do something to or with the cars but the shows and meets are still a few months away. Gradually progress is picking up again on projects though and parts are being ordered but we are still stuck with winter modes for a while yet. What this means is that slowly but surely the blog will see more updates again as things start happening around here. Already a few of us have had a small photo session with our cars and some already have parts here, waiting to go on. I have been double checking lists to make sure the pieces that I need will be here and that’s all looking good. Please stand by as our weather slowly becomes more accommodating to modifying cars and attending shows. 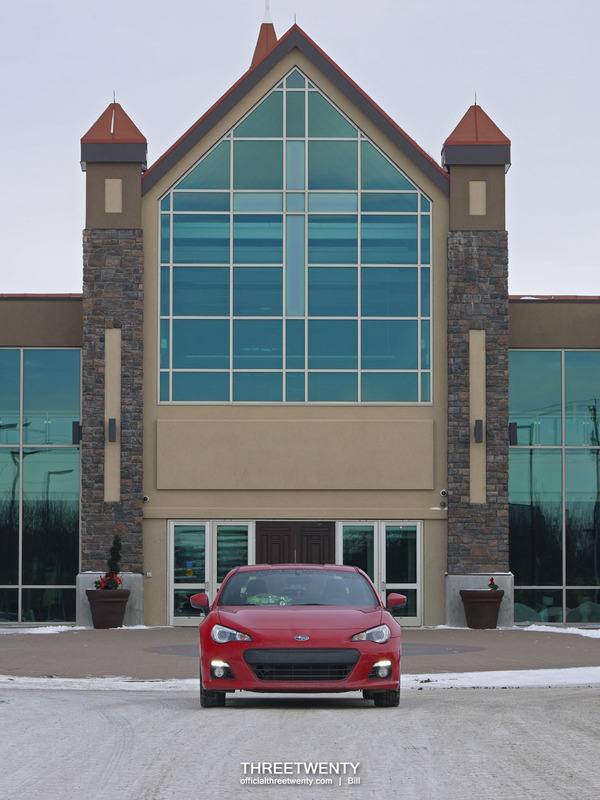 Wanting to do something, recently Kanji and I met up to grab a few more photos of the BRZ. I know Kanji has a lot of plans for the car this year but right now it gets to stay stock while there’s still snow on the ground. It seems he’s really enjoying the car and is putting lots of kilometers on it already! The day we picked turned out to be brutally cold so we couldn’t stay outside for long. We tried to make the best of the limited time we were there. As I said in the last post on the BRZ, I like Kanji’s idea of using the metallic grey for the banner. It’s not in-your-face and looks good against the red. With the roads in the condition they were, washing the car didn’t make a lot of sense as keeping it clean would be next to impossible. Frankly I didn’t mind as it’s winter anyway and this is the current natural look of the car. The license plate and car are still mismatched but come summertime that’ll be taken care of. 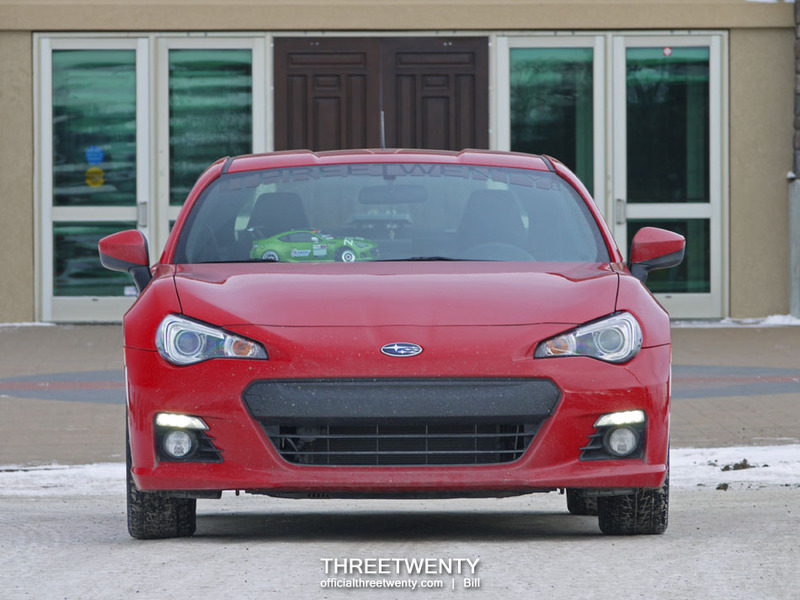 Given the choice, I would definitely go for a BRZ over an FR-S. That front end is my preferred of the two. Red was a choice I was unsure of but Kanji knew what he was doing, because it looks great. 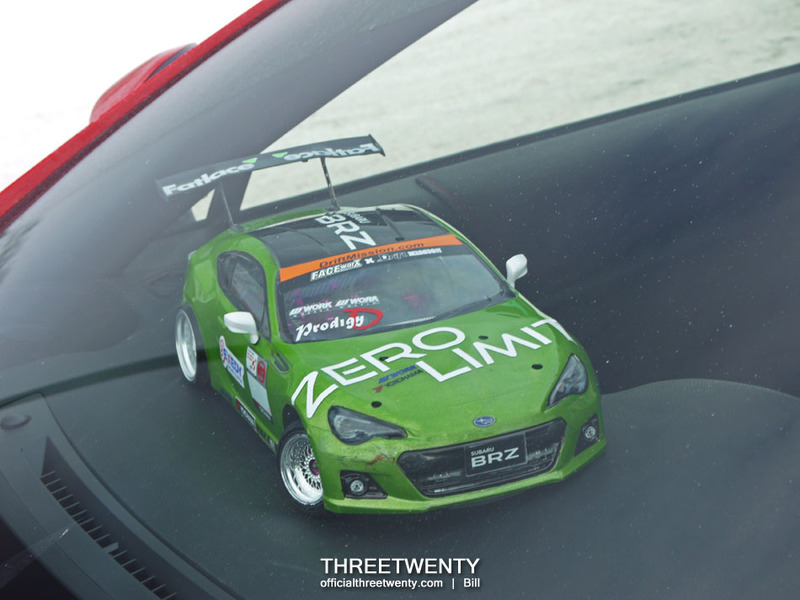 You may have noticed on the dash in earlier photos, is Kanji’s R/C drift car. 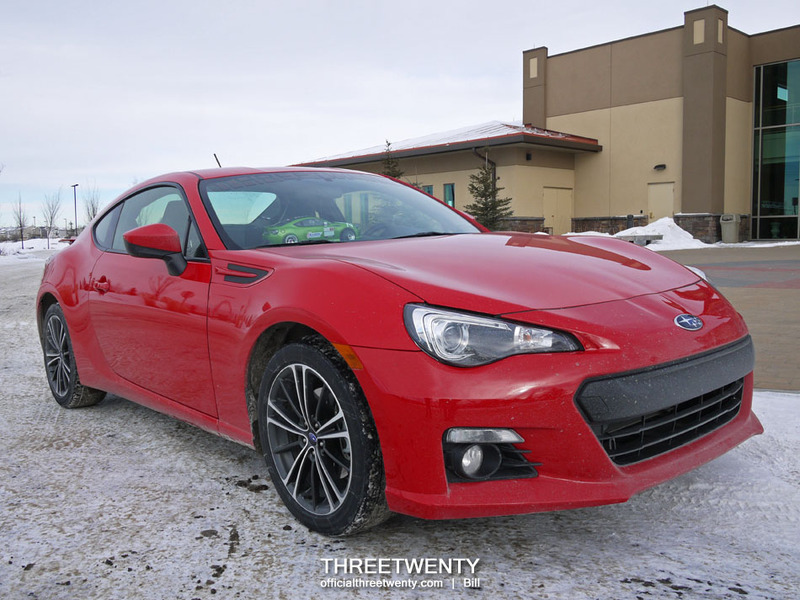 While picking up a shell to match your real car seems like a natural choice, his green BRZ body actually pre-dates the full-size version. 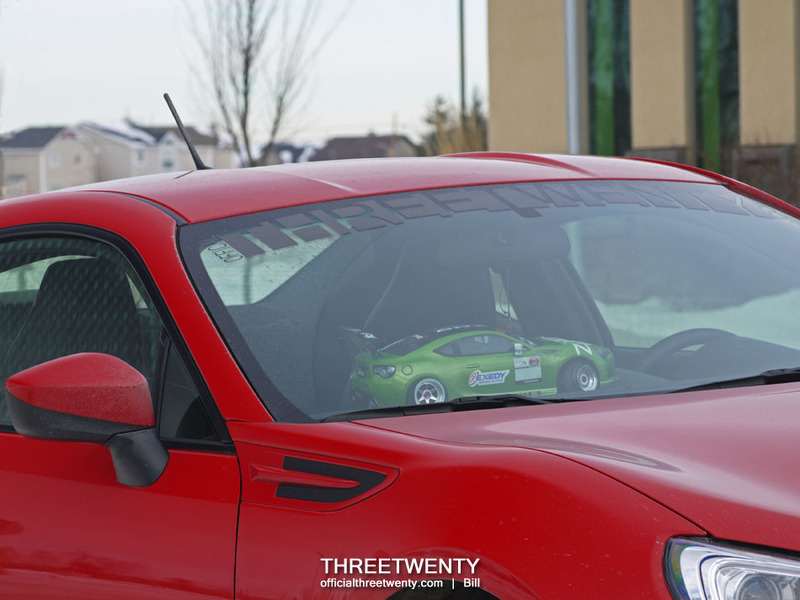 After buying the BRZ he found this shell sitting off to the side and put it back on the R/C. 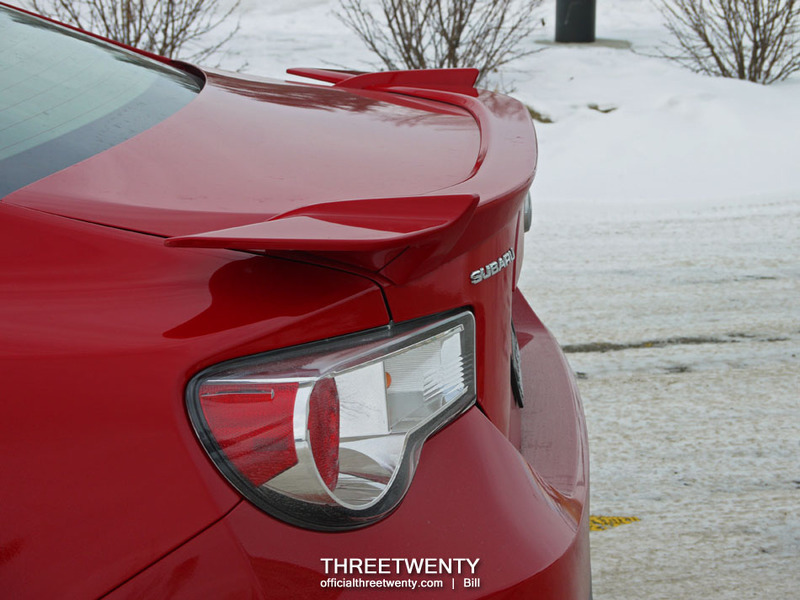 I wonder if we’ll see a wing like that on the red coupe? 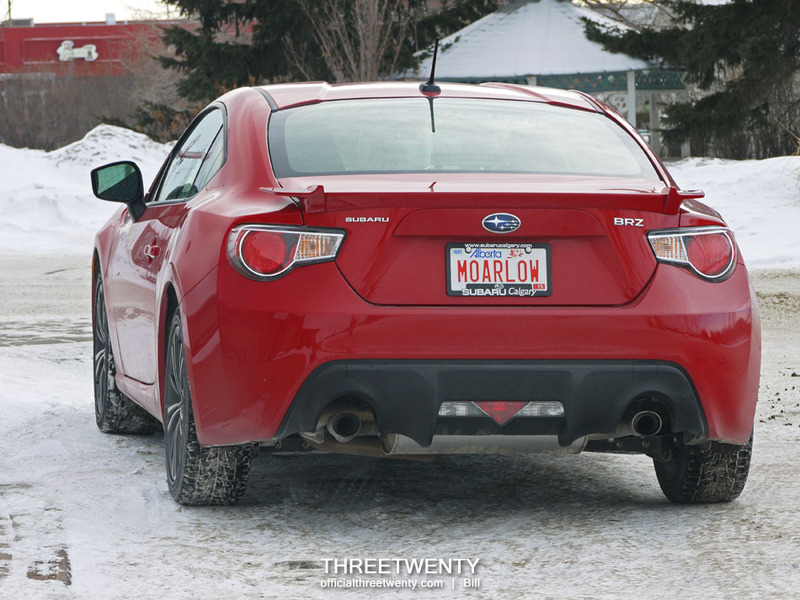 Since it has the Sport-Tech package, the BRZ already features the small spoiler on the trunk lid. Rather unusual styling but it works quite well. And this is about where the cold was getting to us and we had to call it quits. 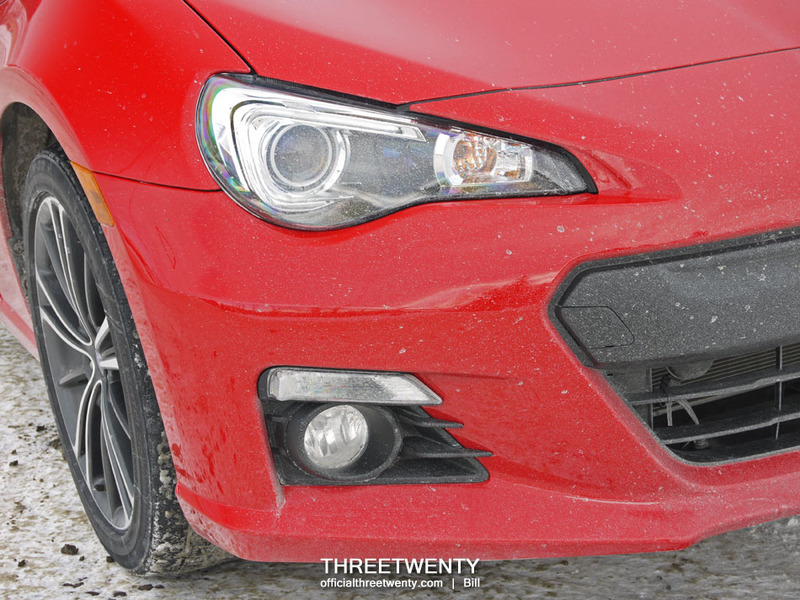 More of the BRZ will be seen in the photos from our mini gathering soon though; and this month there should also be some installs taking place which I hope to be able to share on here. My favourite part of the year is gradually nearing; the time when installs are happening like crazy and the rush is on to get all of the cars set for summer. I can’t wait. Previous Post Previous post: ThreeTwenty: One year in. Next Post Next post: First meet of the year?